Deficiencies in Your House Plants You Might be Missing! Are your plants growing slow? Are they turning brown or yellow? Unbeknownst to you but your plants may be trying to send you a message about their health. For plants that grow slow where their leaves are either droopy, pale, discolored, yellow, spotted, or brown it may signal a time for an intervention to address and take care of your plant’s deficiencies. Comparatively, there are plant species that don’t need a lot of care and then there are those who need more loving care and attention than others. House plants typically are those that are low maintenance depending on the type of plant, but some are little more demanding than others. For those who own low maintenance plants such as a Pothos, it is still possible that they may be struggling to grow or simply live. Plants that are more high maintenance such as the Boston fern, requires lots of filtered light, warm temperatures, high humidity, and if these conditions aren’t met it will begin to shed it leaves.1There are other factors that affect a plants health more importantly like macronutrients, micronutrients, and soil. In the event that your plant is deficient in the macronutrient department, it is important to familiarize oneself with their function and use. A macronutrientis a chemical element or substance that is essential in large amounts that contribute to an organisms growth and health. Sixteen chemical elements are known to be important to a plant’s growth and survival.2Among the sixteen are 3 non-mineral nutrients being the chemical elements hydrogen (H), oxygen (O), and carbon (C). These non-mineral nutrients are naturally found in the atmosphere around us and water. 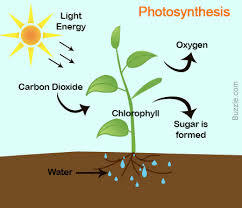 These non-mineral nutrients are especially important for the plant to carry out photosynthesis where carbon dioxide (CO2), water (H2O), and sunlight are harnessed and used to synthesize their food in the form of glucose or sugar and produce clean oxygen (O2) for us. Provided that macronutrients are indeed important to a plant’s health, so are micronutrients or trace elements. As the name suggests, a micronutrientis a chemical element or substance that is only necessary in very small (micro) amounts that contribute to an organisms growth and health. In order to obtain optimal plant health and growth, it is crucial to recognize that soil plays a key role in your plant’s wellbeing. Soil can be deficient of macronutrients and micronutrients but many times even with the proper nutrients present, the soil composition may not be the right fit your plant. Additionally, soil composition or texture refers to the types of soil present like sand, silt, clay, and organic matter in soil. Sandy soils in general cannot hold on to water. When sandy soils are watered it drains very quickly and, in the process, takes soil minerals and nutrients with it. Silt is normally found at the bottom of rivers or waterbodies making it compact soil able to retain water longer. Clay retains water very well and is known to be rich in plant nutrients. Organic matter in soil such as leaves, or detritus makes the soil a very fertile and alkaline environment. The ideal texture for most plants is a mix of silt, sand, and clay. Soil pH is a measure of the acidity or alkalinity of the soil which is vital to acid or alkaline loving plants. Take for example the blueberry bush, it requires acidic soil where if it is grown in an alkaline (basic) soil, it won’t really thrive or produce a significant number of berries. Soil pH is vital to some plants but not all, nevertheless some do better in either acidic or alkaline environments. In order to assess your soil’s pH, you can purchase a soil pH meteror kit. 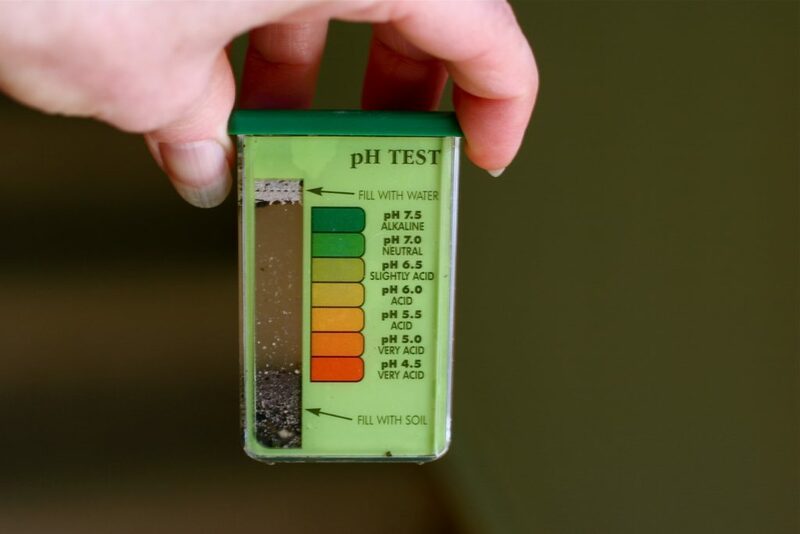 In the case where your plants are lacking in the nutrient department, it is essential to first make some observations (leaf color or texture), appropriately test the soil pH using a pH meter or kit, and finally compare your results to the symptoms associated with the nutrient deficiency. To accomplish this, it is important to recognize the areas of the plant affected, meaning the top part of the plant where new growth occurs (on most at least) and recognize the older growth being the bottom part of the plant (towards the roots). After your observations and tests have been completed, you can take that information and compare your results to the various micronutrient and macronutrient deficiency symptoms. In addition to this, make sure you don’t treat something for something it’s not. Please make sure to check signs of insects or disease before diagnosing and nursing your plant for nutrient deficiency. Macronutrients should be replaced at least one time every growing season. A nitrogen deficiency will affect older leaves where a plant lacking this nutrient will be seen to have yellow leaves. A nitrogen deficiency results in stunted growth. The rest of the plant typically is light green. Treatment: Add manure or plant peas or beans before placing your plant in soil. A phosphorous deficiency will affect older growth where the leaves will look darker than normal and is losing leaves. When extremely deficient leaf tips look burnt almost black or brown. Treatment: Add phosphate or manure. A potassium deficiency affects older growth where the leaves will look wilted or scorched. The leaf tips can look folded, with small spots on pale leaves. Treatment: Add manure or sulphate of potash. A calcium deficiency affects newer growth when the new leaves or buds are distorted or irregularly shaped. A calcium deficiency can lead to blossom-end rotwhere fruit will only grow to half their size. Calcium deficiencies are seen most commonly in tomatoes, peppers, squash, cucumber, and melon fruits. Treatment: Lime or crushed eggshells. A magnesium deficiency is seen when the leaves have yellow edges where the inner portion of the leaves remain green. This generally looks like an arrowhead shape making it a good way to remember what a magnesium deficiency looks like. Treatment: Epsom salts or dolomite. A sulfur deficiency is seen when the newer growth turns yellow before older leaves follow and turn yellow. Leaves range from light green to yellow with pale green veins. Treatment: Add elemental Sulphur or Epsom salt. You only need to replace micronutrients when there is evidence of deficiency. A zinc deficiency affects newer growth where yellowing occurs between the veins of the leaf. Treatment: Add zinc chelates or zinc sulphate. Boron deficiency will be very noticeable because your plant will be struggling to grow new leaves due to dead apical (top) buds. Treatment: Add borax or borate. A copper deficiency is seen when leaves are dark green and stunted (short or narrow). Leaves wilt and drop. An iron deficiency resembles zinc where yellowing occurs between green veins. Treatment: Iron chelates and seaweed extract. Manganese resembles zinc where the patterning of yellowing on the leaf between the veins is not as distinct but still present. Treatment: Add aluminum sulfate or Sulphur. A molybdenum deficiency is seen in older growth where leaves are yellowed with spots all over found in between veins. Sticky secretions may also be seen underneath the leaf. Treatment: Add chalk or limestone. The symptoms described above are the most commonly seen nutrient deficiencies found in houseplants. It is still possible to see other forms of deficiencies but for the most part addressing one problem may help take care of another. Another key point is that most of these symptoms or displays resemble one another, but that is only because these micronutrients and macronutrients work in conjunction with each other to establish optimal health. Also, another thing to consider is that plant symptoms vary from plant to plant which may skew diagnoses but for the most part follow the guidelines above. Not to mention, the treatments listed above are applied at your own risk and discretion. It is essential that you do your research on the type of plant for the nutrients or soil you are trying to correct. It is important to research the type of treatment and handling methods before purchasing chemical agents or other forms of treatment. If you’d like more information on product and handling recommendations for particular plant deficiencies please visit, New Castle Gardens. If you are unsure about a nutrient deficiency symptom your plant might be displaying, when in doubt compost! 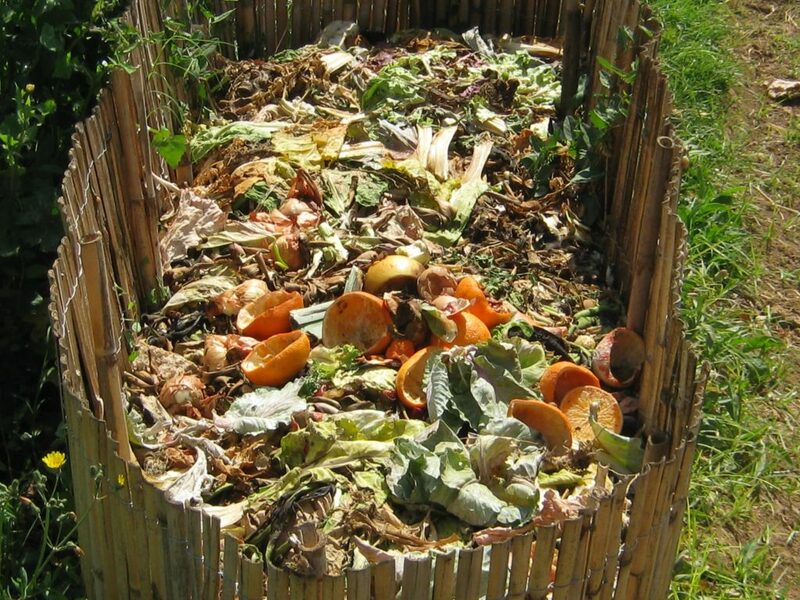 The benefits of composting are numerous with some being able to improve soil structure, nutrient content, less watering done by you, and it helps your plant ward off diseases.4There is no soil that won’t benefit from composting but remember too much of something isn’t always a good thing, so do it in moderation. Plants are often overlooked and seen as inanimate objects incapable of communication yet, it is obvious they communicate visually to us that they’re in need of vital nutrients. Plants are living organisms just like you and me that need food, water, and care in order to be happy and healthy. As long as you educate yourself on the type and species of the plant you are caring for, provide the basics, establish a good growing medium (soil), and when in doubt compost! Ultimately, the take away from this is to treat your plant like it’s your baby and give it the proper care and attention it needs. There’s nothing more rewarding than seeing your plant grow big and strong before your eyes.